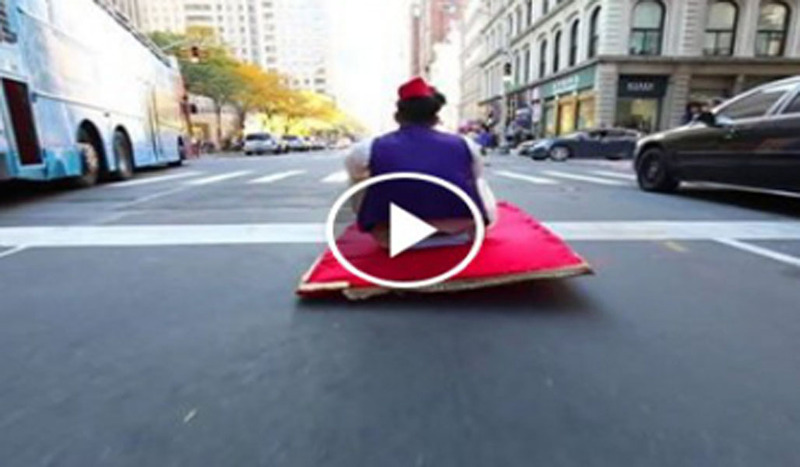 Awesome: Aladdin on a Magic Carpet Epic Halloween Prank! If there’s one video you watch today, it’s gotta be this. Who doesn’t love Aladdin, and when is the last time you got to see Aladdin on a “magic carpet”? People of New York got to see just that. Watch as Aladdin cruises thru the streets of NYC on his magic carpet all while capturing the reactions of people. Awesome! SHARE with all your friends…Happy Halloween!